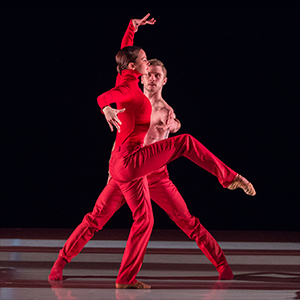 Aspen Santa Fe Ballet’s repertoire, ranging from accessible to sophisticated, resonates with energy and eclecticism. A house-style emerges across this diverse dance menu, layering American athleticism on a base of European refinement. The company’s identity is tethered to its repertoire, which speaks a complex language, challenges audiences, and advances the art form. ASFB, since its inception, has been deeply committed to commissioning new works. Of the 35 ballets created since 1996, many are by world-leading choreographers whose important first assignments came from ASFB. Many ballets have gone on to grace the repertories of renowned global dance companies. 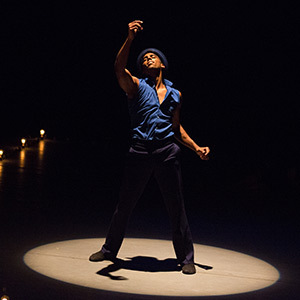 Nurturing lasting relationships with dance makers is a company hallmark. 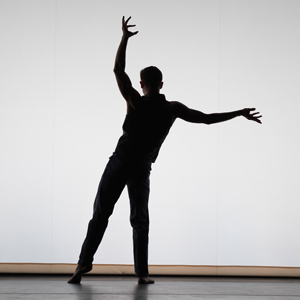 Among the choreographer-collaborators creating multiple works on ASFB are Alejandro Cerrudo, Jorma Elo, Nicolo Fonte, Fernando Melo, and Cayetano Soto. 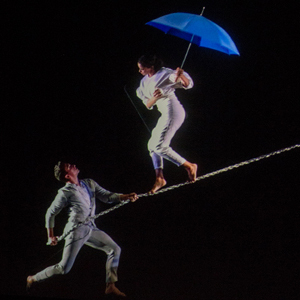 Aspen Santa Fe Ballet’s production of Half/Cut/Split is made possible through the generosity of the Aspen Music Festival & School, The City of Aspen, Orange County Philharmonic Society, and Bunni & Paul Copaken. Music: Mikael Karlsson, Victor Feldman, "Fly Me To The Moon"
Underwritten by: New England Foundation for the Arts' National Dance Project, with lead funding from the Doris Duke Charitable Foundation and The Andrew W. Mellon Foundation, with additional support from the National Endowment for the Arts. ASFB’s informative and engaging lecture/demonstrations take students on a journey behind the scenes of a professional ballet company. 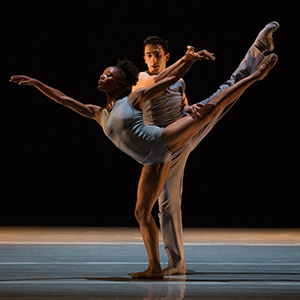 Narrated by Executive Director Jean-Philippe Malaty, the curtain opens to reveal a company ballet class in progress. Students watch as the dancers move through regimented exercises, from the barre to the center, all the while learning about how dancers train, dancing in pointe shoes, and how to partner. Brave volunteers from the audience are even welcomed on stage to try their hand at partnering the ballerinas! The students are then treated to a performance of a work in the company’s repertoire, followed by a Q&A session with the dancers. ASFB’s hour-long lecture/demonstration is an exciting, educational activity that’s sure to leave students eager to learn more.